(SPEEDWAY) - Shortly after 1 p.m. Thursday officers from the Speedway Police Department received information of a possible wanted subject, 57-year-old Douglas Gaultney, of Knox County, in a white van in the area of 18th and MacArthur Lane, in Speedway. Officers were able to locate and make contact with Gaultney, who was the sole occupant of the van. Gaultney immediately brandished a shotgun causing the officers to move to a safe position and call for additional help. Gaultney was making statements that led police to believe he did not have intentions of exiting the vehicle. 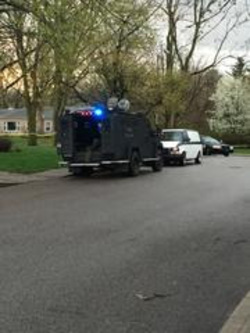 The Speedway Police Department SWAT team, along with the Indiana State Police SWAT team and the Indianapolis Metropolitan Police Department all responded to the scene. Officers attempted to negotiate with Gaultney for several hours. Gaultney exited the van at one point with the shotgun in his hands but immediately re-entered the van. 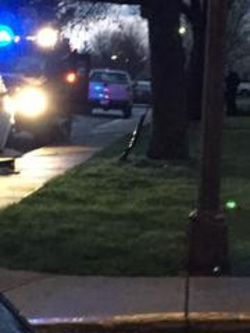 Shortly before 7 p.m. members of the Indiana State Police SWAT team and the Speedway Police SWAT team attempted less lethal tactics of tear gas and use of an armored state police vehicle to encourage Gaultney to peacefully surrender. However, Gaultney chose to get out of the van armed with a shotgun that he pointed at officers. his action resulted in several police officers shooting Gaultney who then fell to the ground. Life saving measures were immediately initiated by police officers until medics, who were staged nearby, were able to provide direct first-aid to Gaultney. Gaultney was then transported to Eskenazi Hospital in critical condition and underwent surgery. No police officers or other citizens were injured during this police action shooting. Douglas Gaultney was wanted out of Knox County on violation of probation for possession of marijuana. This is an ongoing investigation and there is no further information available at this time.